The iPad Apple is a highly capable device for those seeking remarkable performance as well as everyday efficiency. 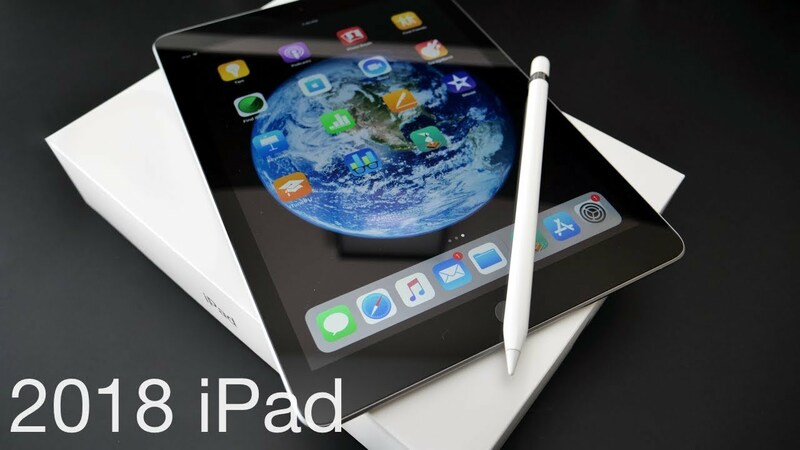 Marketed with an increased emphasis on the education sector, but also sold to the general public, the 9.7-Inch iPad (6th Gen) -- introduced in "Early 2018" -- is notable primarily because it is the first non-Pro iPad series to support the Apple Pencil. In basic terms, it brings together many of the internals from the iPhone 7 in a design quite similar to the iPad (5th Gen) that it replaced. All iPad (6th Gen) devices -- including this Wi-Fi and Cellular-equipped model -- are housed in white and gold colored, white and silver colored, or black and medium toned "Space Gray" cases and feature a 9.7" 2048x1536 (264 ppi) LED-backlit IPS touch-sensitive "Retina" display that is not fully laminated and that does not have an antireflective coating but doessupport the Apple Pencil. It has a "Touch ID" fingerprint sensor, as well. Each is powered by a four core 2.3 GHz Apple A10 Fusion processor, has 2 GB of RAM, and has 32 GB or 128 GB of flash memory storage. The design of the Apple iPad is a result of focused research into usability. 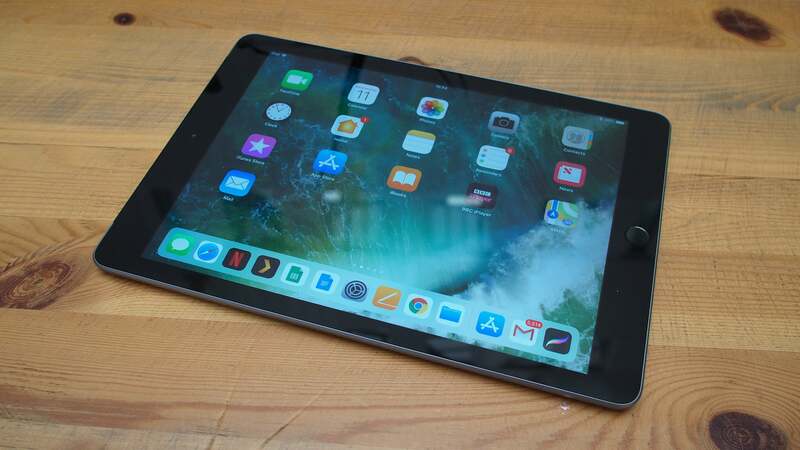 The 9.7 inch Retina Display touchscreen, which incorporates multitouch technology, makes using this device an absolute pleasure. This touchscreen can cast fabulous visuals at screen resolution of 2732 x 2048 pixels, and this lets you use this device for graphics intensive jobs in which remarkable accuracy is essential. You can use this tablet to successfully accomplish drawing and sketching jobs. In addition, the iPad has an entirely new four speaker system that creates a stereo soundstage for crisp, loud, and immersive audio. An aluminum unibody with rounded edges and a thin bezel make this device easy to use. The Apple iPad is designed to be a highly capable machine for a variety of purposes. An advanced 64bit A9X chipset equips this hand held computing device with the processing power to control and execute a variety of tasks and applications. This tablet facilitates extremely quick read and write speeds, letting you access data, applications, and multimedia without any stutter. The M9 motion processor built into the A9X chipset enables real time use of features like the Siri voice assistant. Order the iPad Tablet​ today and have it delivered to your doorstep within 1-3 working days or same day delivery within Nairobi. Same-Day delivery in Mombasa on selected items. Pay on delivery via Cash or Mpesa.